3 Make it Now Projects to with Cricut Explore and Cricut Design Space. Easy DIY craft tutorial ideas to get you started making your own home decor! Have you ever wondered how people personalize and make their own home decor? It’s easier to do than you may think. 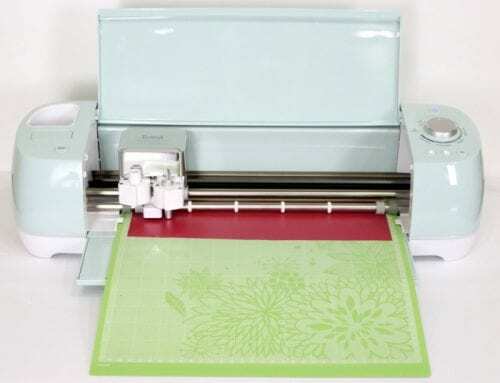 The Cricut Explore is an electronic cutting machine that allows you to design and cut paper, vellum, vinyl, leather, and much more! Worried about the design side? Don’t Worry! Cricut Design Space has a Project Idea Gallery that is FULL of great ideas to get you started, so you don’t have to design just create. It is easy to browse and search the gallery, and when you find that perfect project you highlight and click Make it Now and you are crafting. Easy Peasy! Today, I am going to show you 3 projects I made from the Project Idea Gallery. 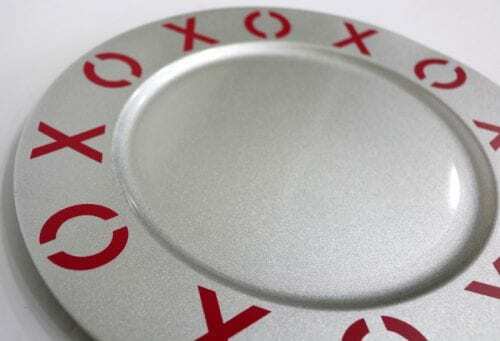 Use the Cricut Explore to cut the XOXO from the Berry colored vinyl. Weed or remove the excess vinyl from the backing sheet. Using Transfer taper move the letters one at a time to the plate. You can use the same square of transfer tape over and over again for the process. No need to cut a new square each time. 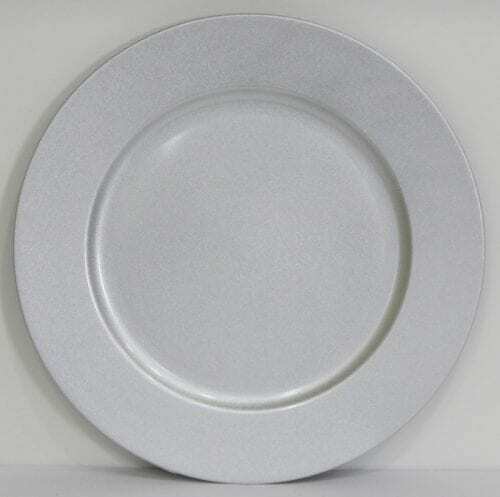 Tip: Think of the plate as a clock to align the X O letters. I started with the X’s in the 12 and 6 position than the O’s in the 3 and 9 positions. Then fill in the other numbers of the clock with the alternating X or O. This helps keep equal spacing. Project one is done! Easy as that! 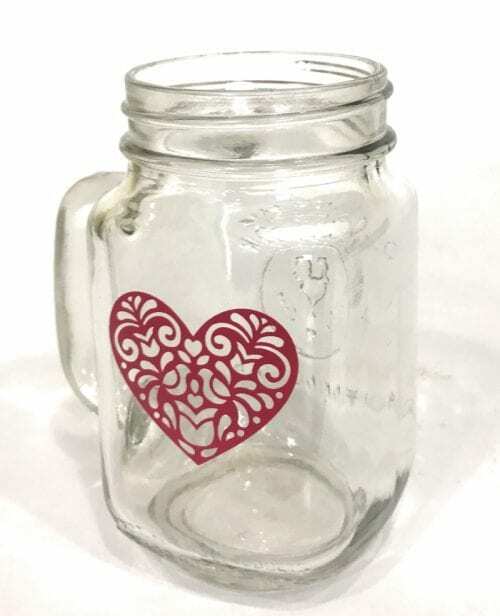 Use the Cricut Explore to cut the heart from the Berry colored vinyl. Weed or remove the excess vinyl from the backing sheet. 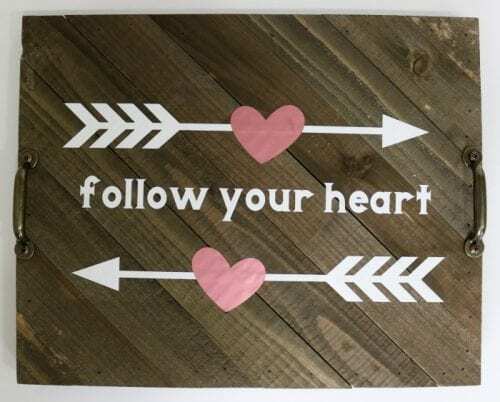 Cut a square of Transfer Tape that is slightly larger than the heart, and lay over the vinyl. Rub the scraper tool over the vinyl to make sure the vinyl has stuck to the transfer tape. Carefully peel the transfer tape, it should remove just like a sticker. 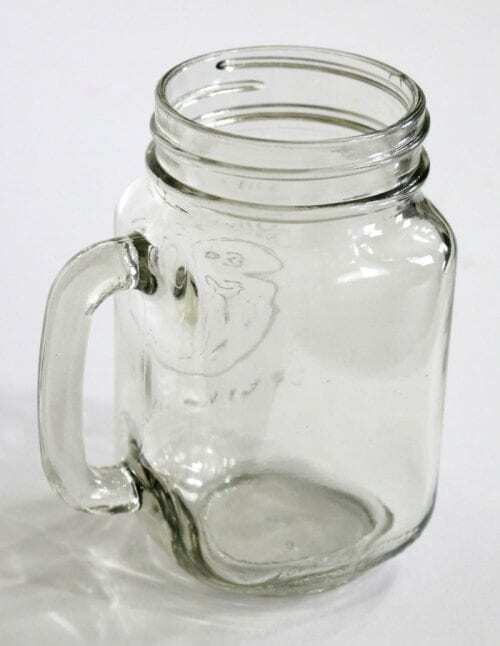 Apply the vinyl to the mason jar glass and rub again over the top of the transfer tape. Carefully peel back the transfer tape making sure the vinyl sticks to the glass. 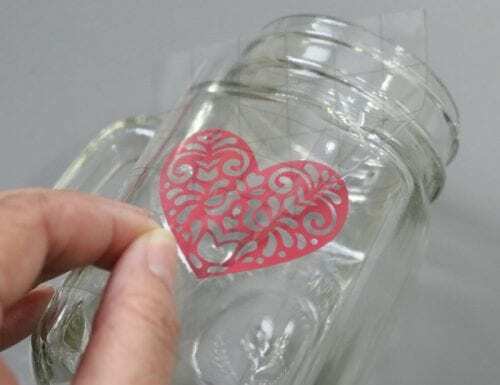 If the vinyl pulls up with the transfer tape, lay the tap back down and rub over it again and then retry peeling the transfer tape off of the glass. Repeat if necessary. Number two was even easier than number one! 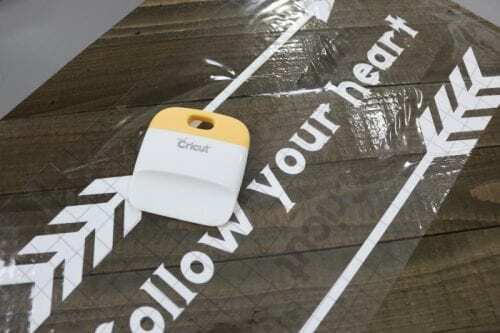 Use the Cricut Explore to cut the first layer of the design out of white vinyl. The second layer, which is the hearts, cut with the adhesive foil. Weed or remove the excess vinyl from the backing sheets. Apply a strip of Transfer Tape that is slightly larger than the white layers, the arrows and the text. Rub the scraper tool over the vinyl to make sure the vinyl has stuck to the transfer tape. 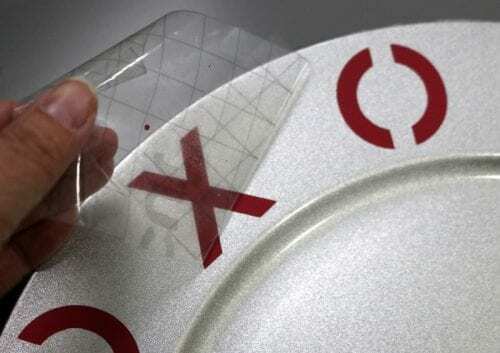 Carefully peel the transfer tape, it should remove just like a sticker. Apply the white vinyl to the center of the wood sign and rub again over the top of the transfer tape. Carefully peel back the transfer tape making sure the vinyl sticks to the wood. 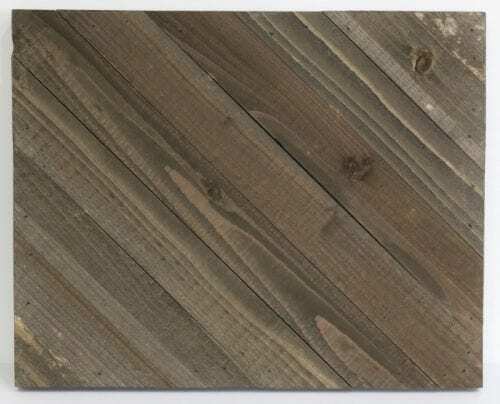 Tip: Since wood is a more rough surface you will have to work with the vinyl a little bit more to grab the surface so it is best to go slow to make sure every part sticks. You can, but you don’t need the transfer paper to apply the foil hearts in place. Simply peel from back sheet and lay in place. Once everything is in its place, I like to lay a blank sheet of cardstock over the top and rub again with the scraper tool. This helps press everything into place. You can leave the sign as is, or you can add handles and turn the sign into a tray! 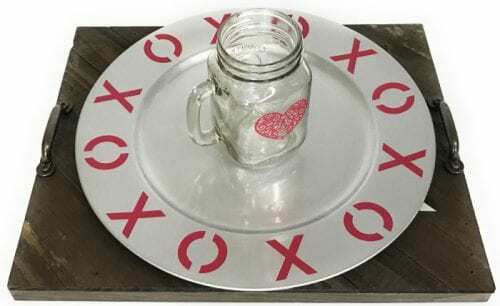 I love the tray so you can serve your XOXO Plate and Heart Mug all together! Perfect for Valentine’s Day, anniversaries or any reason to treat that someone special. Remember how plain and boring all of these pieces were before spiced them up with a little vinyl? Now they are ready to impress! It’s amazing what a Cricut can do!! If you want more information about the Cricut, I recently did a Cricut Explore Air 2 Review which goes into more detail of what the machine can do. What would you make with a Cricut Explore? Share and leave a comment below! 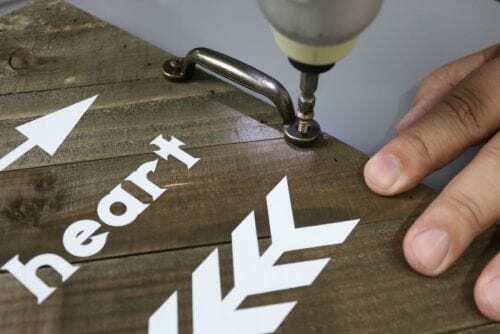 SAVE 3 MAKE IT NOW PROJECTS WITH CRICUT EXPLORE TO YOUR FAVORITE CRAFTS PINTEREST BOARD! It IS amazing what a cricut can do! I don’t have one but, your amazing projects say it all! Thanks for sharing with us at Funtastic Friday! Thank you, Angie! I have a lot of fun with my Cricut Explore. The possibilities are endless! Thank you Robin! Thanks for hosting such a great linky party! You will love it Christine and there really are so many different things you can do with it! Nice project! I just came from Grandma’s House link party. Thanks Natalie! Do you have a Cricut? What have you made with it? These are all super cute! 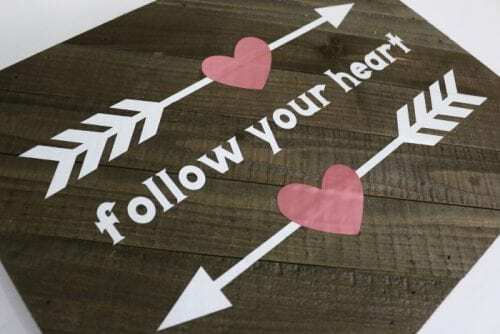 I’m so jealous, the new Cricut is on my wish list and I can’t wait to get it so that I can start making fun projects like these! Thanks for sharing with us at Merry Monday. Thanks, Marie! The Cricut Explore is a pretty fun crafting tool! I can do so many things with it!